Would love these. Have lots of young people in my life I could read to and share. Love all your posts & these great giveaways! Another great collection! Thank you for the chance! I've recently begun re-reading all of my favorite stories from childhood, and asking friends to recommend some that I may have missed. I'd love to be able to read from such lovely books! My mom used to read a chapter a day to us kids before school each morning. We went through "Swiss Family Robinson" and "Little Men/Women" about ten years ago. That's one of my favorite memories from my school years! I would love the chance to add these to our family bookshelves! Good heavens! Helen in the Editor's Chair! I had that a million years ago, from some older relative's bookshelf, I guess. With dust jacket. As I recall, Helen was quite young and lovely and blonde. Of course, it vanished years ago. These children's books look BEAUTIFUL!! Wow, some great books. 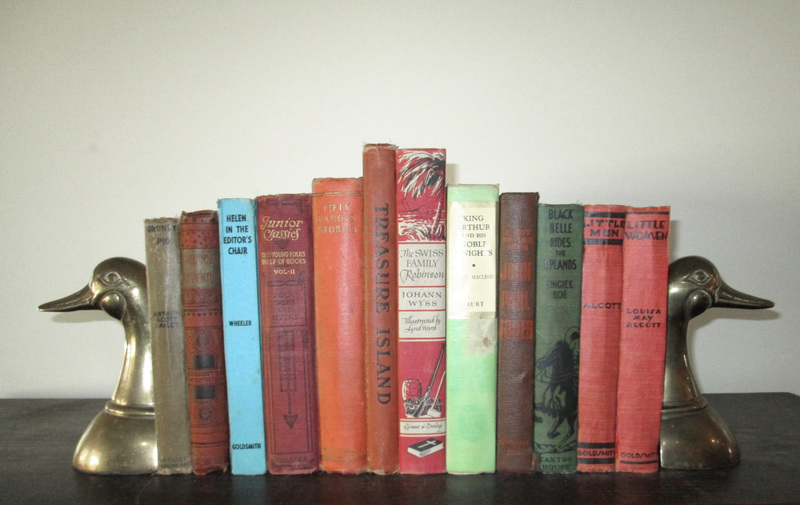 Very nice collection with Black Beauty, Little Women, and Treasure Island. My youngest 3 kids are finally old enough to read these. My granny had the same edition of Little Women, which I enjoyed as a child. I've just re-read the three books again. Just as fascinating 50 years later. Like Susanna says; please don't include me for the prize. The postage to here would cost an arm and a leg! Just looking at the titles of all ofthe books on your blog, kindles my memories. Wow, all these wonderful books would really enjoy reading them ! Such wonderful classics. Many of these titles were some of my favorite reads since early childhood. Thank you for the chance. I just love vintage children's books. Pick me, please! I would love these! Thanks for offering.